Sometimes colours speak to me, and sometimes it does not. As right now. I’ve talked before how this new design gave me a hard time. I was not lying. Once the stitch pattern was written, it took me a few days and at least 3 or 4 swatches to find a matching colour combination. I’m pretty confident with my colour scheme right now but I did get a few surprises down the knitting lane! I choose colours which worked together “on paper” but actually did not once knitted. I trusted my choices every time and even almost started without swatching at all. Well, I’m glad I did and you should too when it’s about colourwork. You don’t need to swatch in-the-round, but it’s always a good idea to check if your colours will work together before starting the actual project. Here I’m working with the grey yarn as a background and the light orange as the pattern colour. There’s two easy ways to achieve good contrast when choosing your yarn : either look for two different colours or look for two different values of the same colour. When choosing two different colours, always remember the wheel of colour: stranded colourwork (or brioche) will be more visible if you choose two complementary colours or if you combine one coloured yarn with one neutral as I choose to do here. If you choose to stick to only one colour, it’s better if you choose the two opposite sides of the gradient hue: one on the lighter side and one on the darker one. Otherwise, all your hard work and hours spend knitting an intricate brioche stitch pattern will not show through. 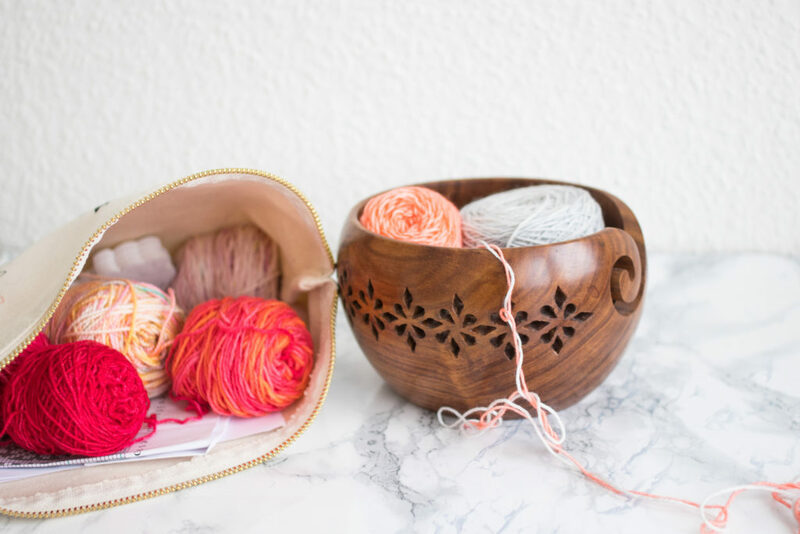 If you want more in-depth details on how to choose colours for knitting, you can take a look of Lacie Lynnae blog post serie (especially part #1 and part #2). When in doubt, take a quick picture of your yarn choice and apply a black and white filter to it. Can you still see the difference between both yarns? If yes, you’ve got a winning combo!